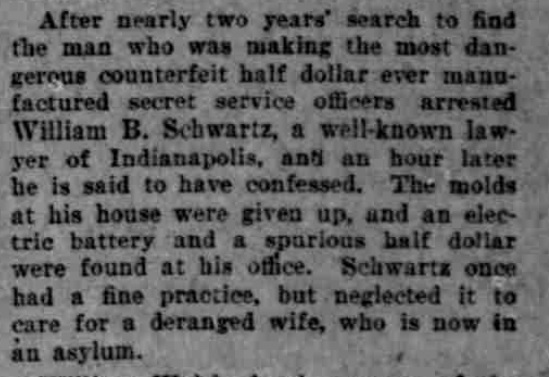 After nearly two years’ search to find the man who was making the most dangerous counterfeit half dollar ever manufactured secret service officers arrested William B. Schwartz, a well-known lawyer of Indianapolis, and an hour later he is said to have confessed. The molds at his house were given up, and an electric battery and a spurious half dollar were found at his office. 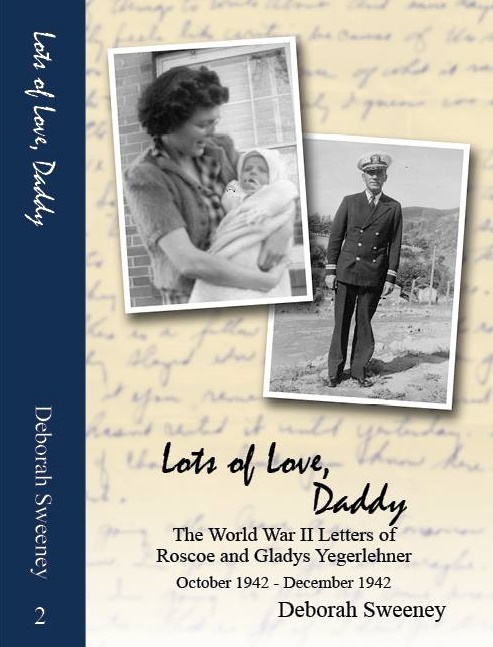 Schwartz once had a fine practice, but neglected it to care for a deranged wife, who is now in an asylum. “Minor State News,” The Plymouth Tribune (Plymouth, Indiana), 7 June 1906, p. 3, col. 8; digital image, Chronicling America (http://chroniclingamerica.loc.gov/ : accessed 4 April 2014). This entry was posted in Newspaper Clippings, Schwartz, William B. Schwartz and tagged counterfeiting, Indiana, Indianapolis, Plymouth Tribune, William B. Schwartz on April 6, 2014 by Deborah Sweeney. I got a chuckle too out of the word “dangerous” ! This little news item captures so much of the tragic Schwartz story. LOL!! I believe they are saying they were dangerous because they were so well made. It was hard to tell that they were fakes. But exploding coins would be cool….